Meet us at WTCE in Hiamburg! Meet us at the WTCE 2019! 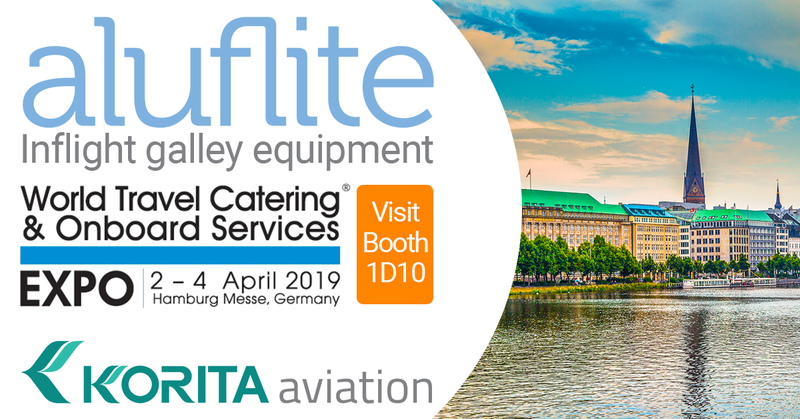 Korita Aviation is exhibiting at the World Travel and Catering Expo in Hamburg and this time we have something very special to show you! Our sales and marketing team along with our engineers are going to be available to demonstrate our Aluflite product range. Come and meet with us and see all of our products in all of their glory. It's a promise, there is a surprise in store for you this year, so be sure to pay us a visit at booth #1D10! We look forward to seeing you between 2-4 April 2019 at the WTCE in Hamburg.